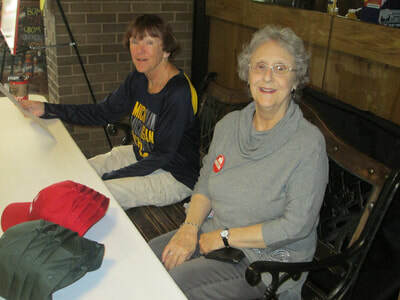 Thank You 2018 Paper Sale Volunteers! Livonia Goodfellows lost a member and beloved friend this week with the passing of Betty Bjarnesen on October 6, 2018. Thank you to Livonia Family Dental for their donation of Halloween candy and dental hygiene products. Pictured are Dr. Zuzana Grunberger, Goodfellows Vice President Jim Hobart and Julia Munoz. 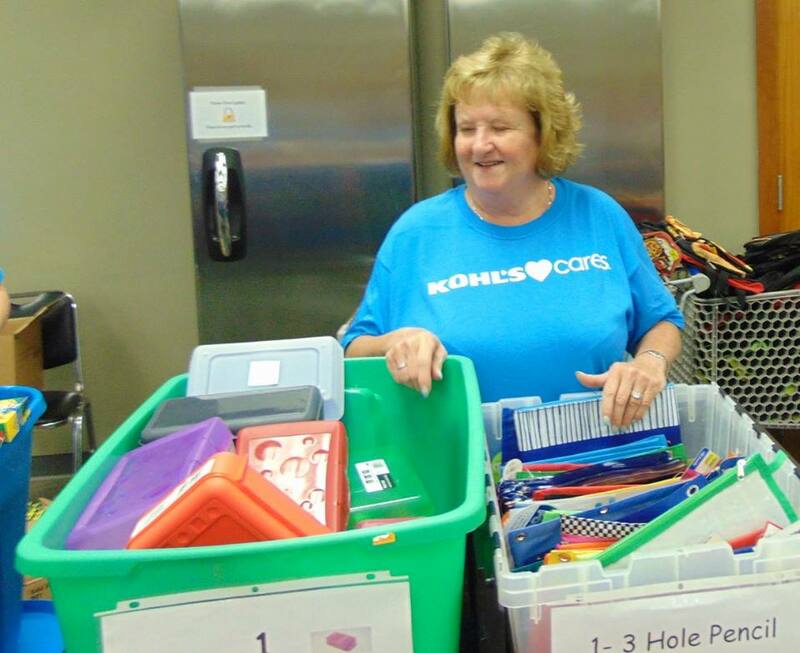 Livonia Goodfellows work with the Youth Commission to help the kids start off to a good school year. There are plenty of supplies to choose from and the kids love the shopping experience. 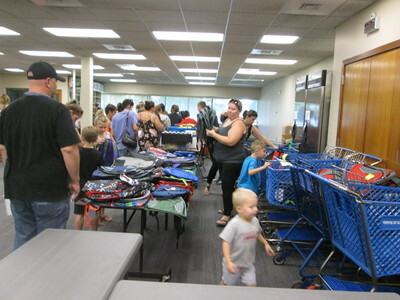 Each one is given a backpack and walks along the many displays, picking the items they like best. Many happy faces leave with a full pack and gratitude for our assistance. 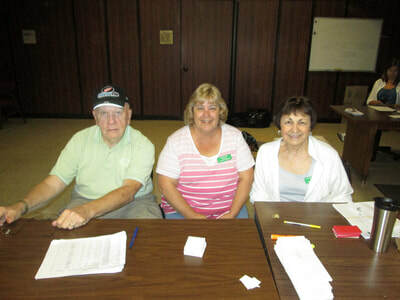 Directors checking recipients in from Goodfellows are (left to right) Bill Heaton, Jodee Hall and Jan Nadratowski. 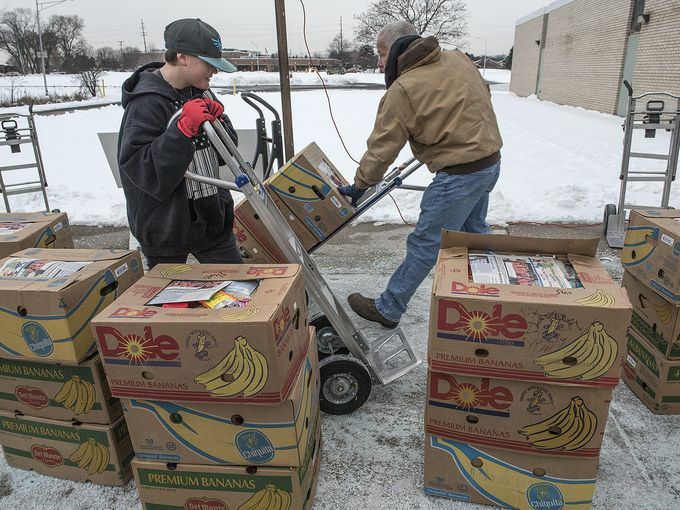 In the summer of 2015, the Livonia Goodfellows initiated a Summer Lunch Program. 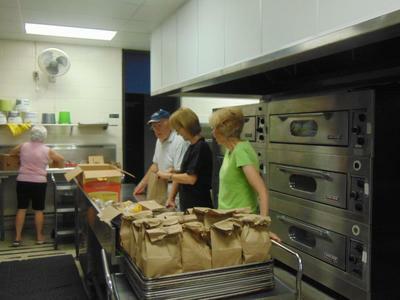 They serve a sack lunch to the students participating in the LPS (Livonia Public Schools) Summer School Program. They have partnered with Forgotten Harvest, an organization that "rescues" food that otherwise might go to waste and redistributes it where it is needed. Forgotten Harvest prepares sandwiches and also provides a drink, a snack and fruit when available. Goodfellow volunteers bag the food and properly prepare the lunches for the students and staff. 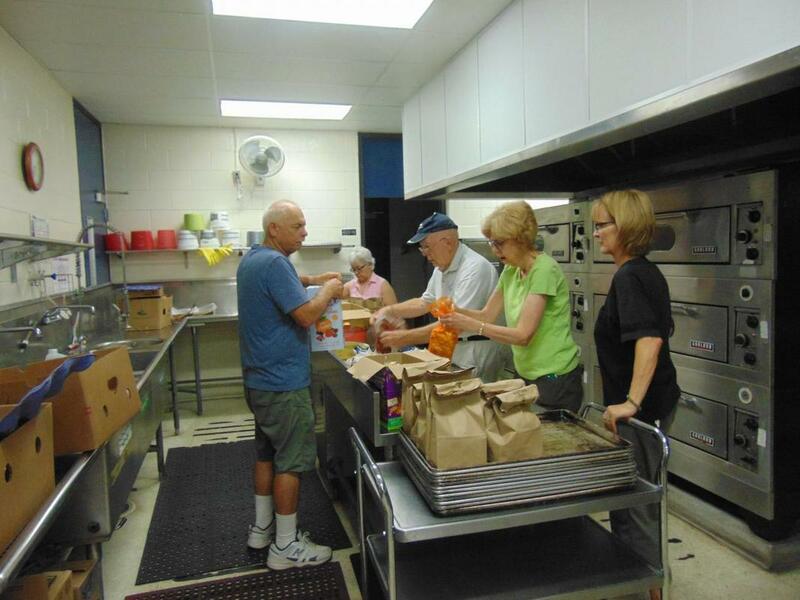 Livonia Goodfellows also works in collaboration with LPS for the Summer Lunch Program. This year the program is housed at Franklin High School, where they use the kitchen and cafeteria for preparation and serving. To quote a district official, "I know that the students, teachers, and parents have been EXTREMELY grateful over the past few years." 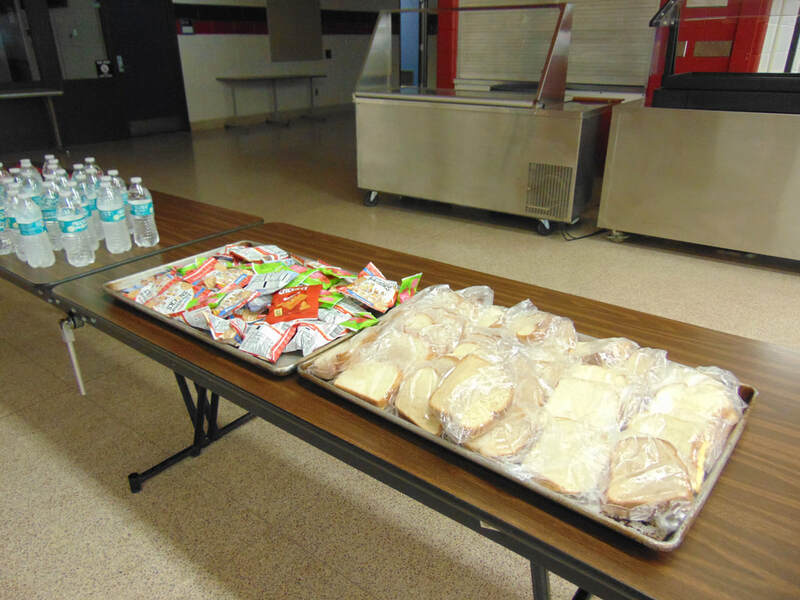 If you would like to become involved and support the Summer School Lunch program, please contact Jim at 1jimhobart@gmail.com. 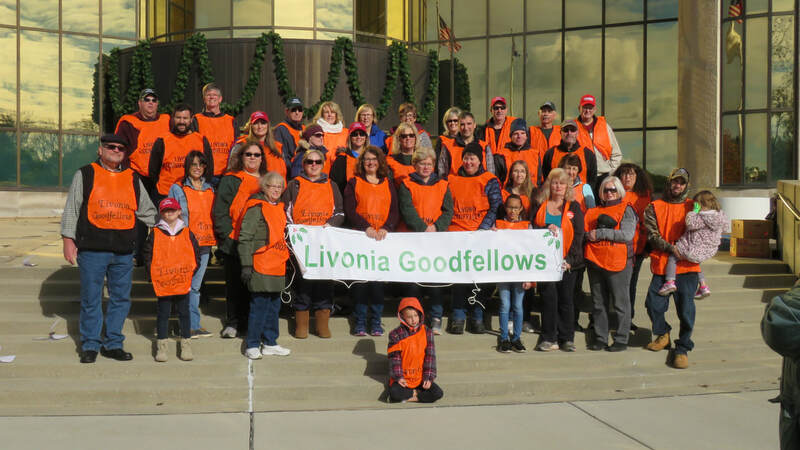 Livonia Goodfellows is always in need of volunteers for their community efforts. 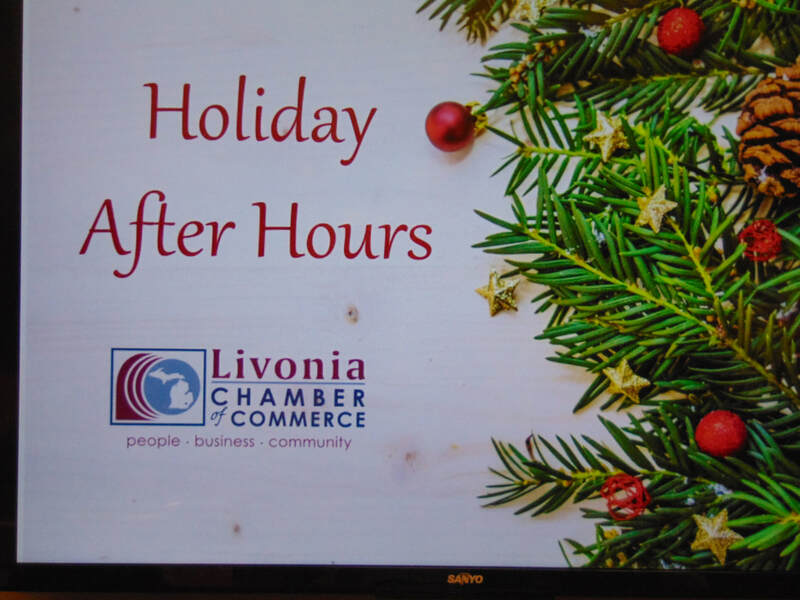 The Livonia Community Foundation Grant Committee determined which organizations met the requirements for a Grant in 2018. 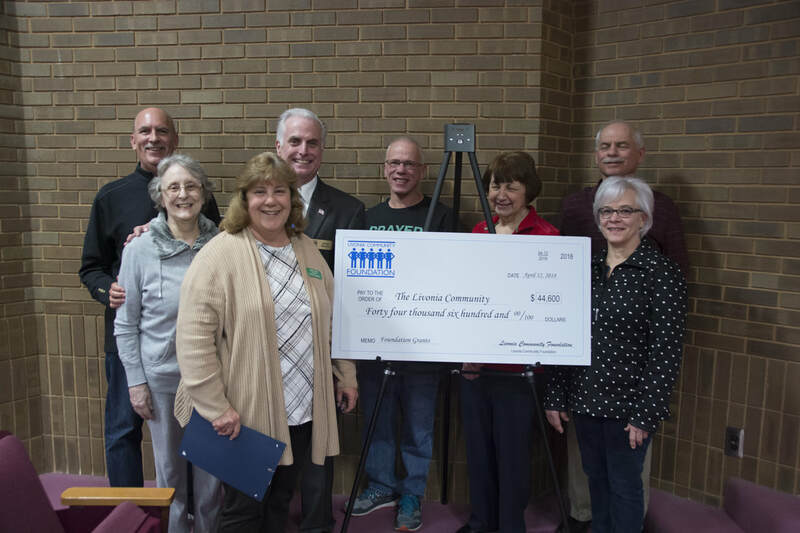 A total of $44,600 was awarded to various Livonia organizations at a ceremony on April 12, 2018. 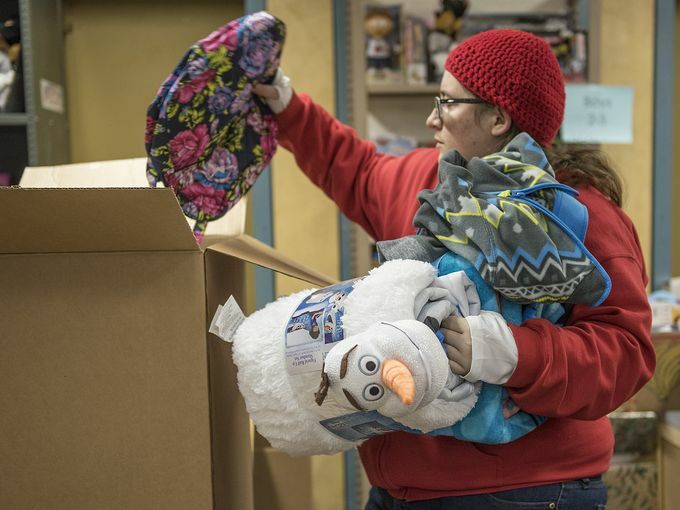 The Board of Trustees approved $2,500 for the Livonia Goodfellows “No Child Without a Christmas,” as being qualified for a Grant serving children in Livonia. 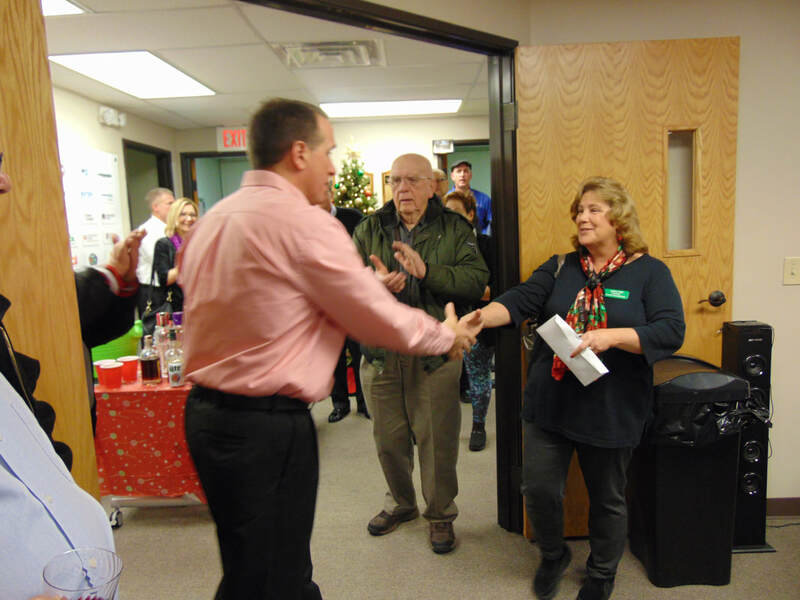 Dan West, president of the Livonia Chamber of Commerce, presents Jodee Hall, President of Goodfellows with a donation from their Fundraiser December 9. 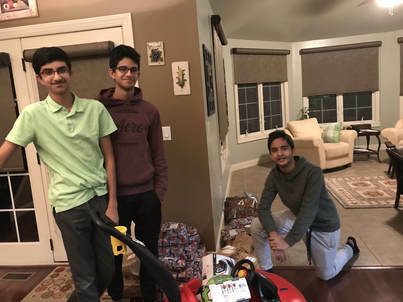 Every year, Sri Shirdi Saibaba Temple can't do enough for our families. 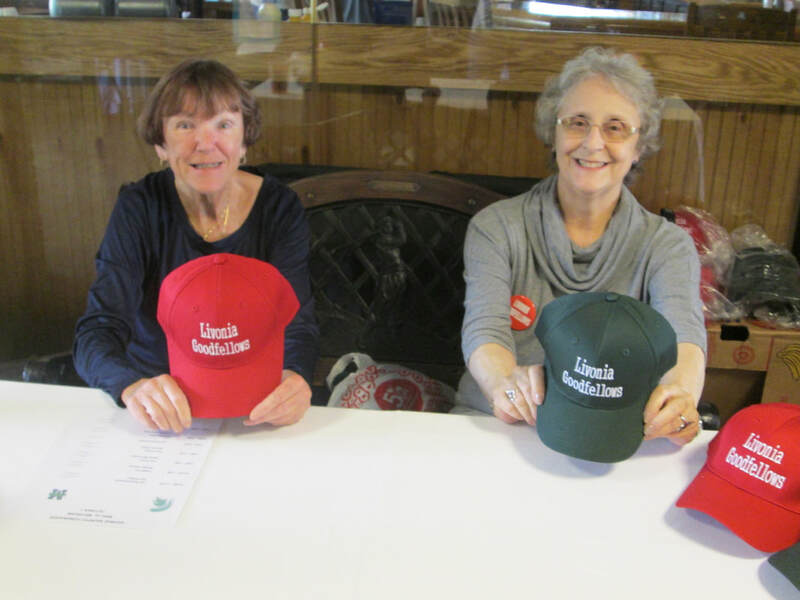 On Sunday, November 19, they hosted a luncheon at Leon's on Seven Mile. 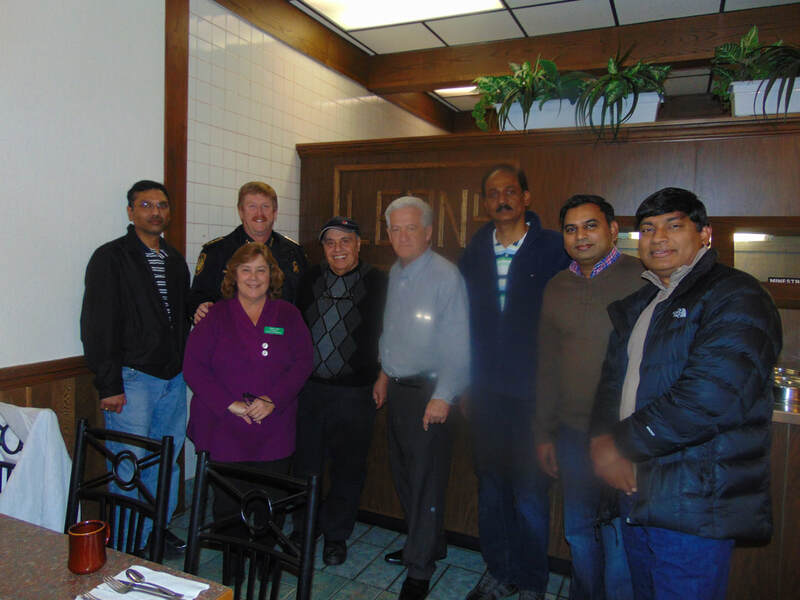 Jodee Hall, Goodfellows President with Livonia's Chief of Police Curtis Caid, Leon's owner, Dennis Wright, Mayor, and officers of the Temple. Thank you to Masri Orthodontics for their donation of Halloween candy and monetary donation. 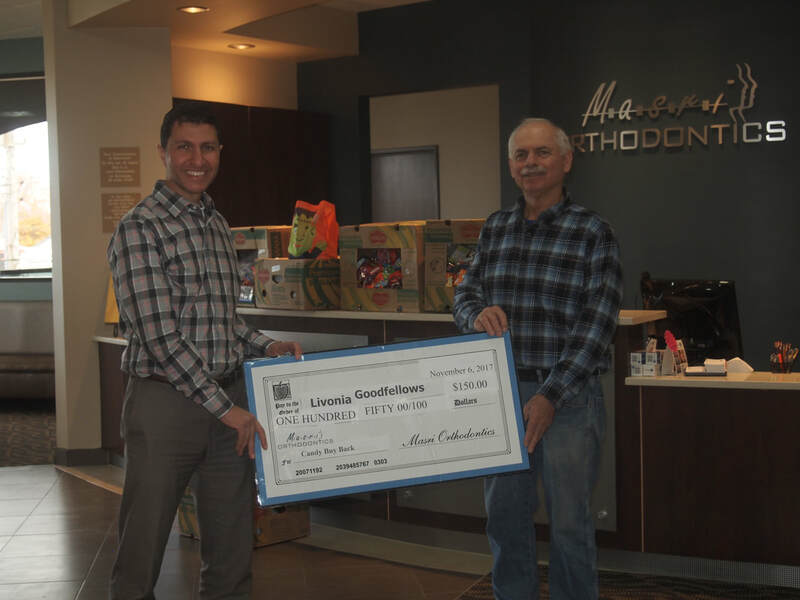 Pictured are Dr. Masri and Goodfellows Vice President Jim Hobart. 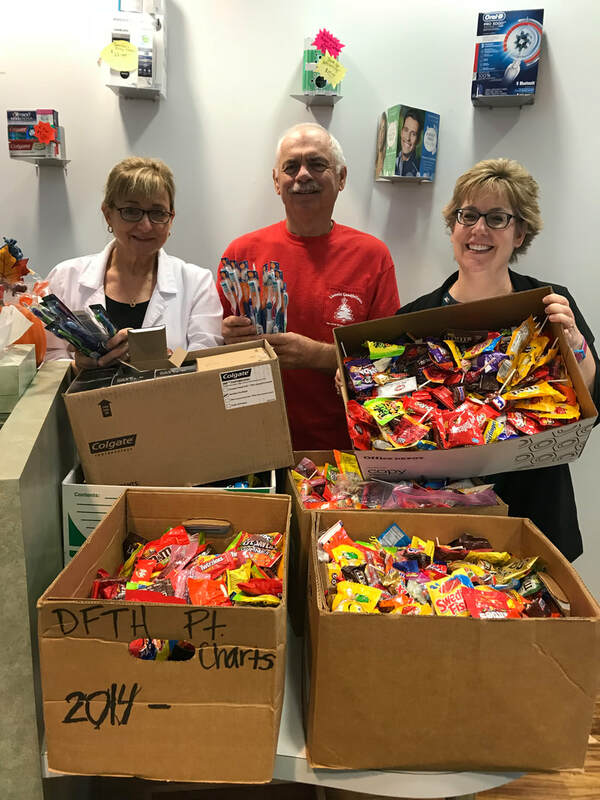 Thank you to Livonia Family Dental for their donation of Halloween candy and dental hygiene products. Pictured are Goodfellows Vice President Jim Hobart and Dr. Grunberger. ​Directors Sharon Sabat (left) and Pat Green prepare to greet people as they enter George Murphy Restaurant to dine. 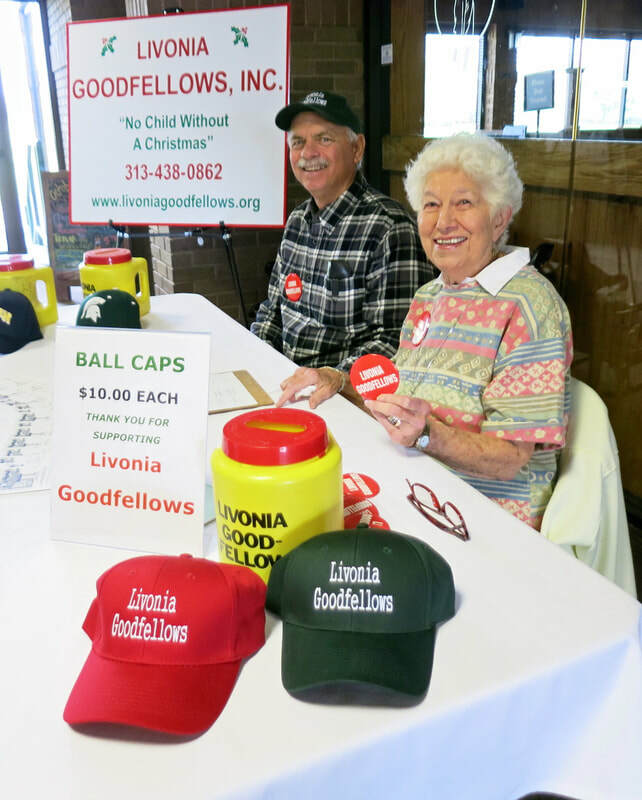 They remind patrons that 20% of their total bill will be donated to Livonia Goodfellows, with those magic words "I'd like to support Goodfellows." 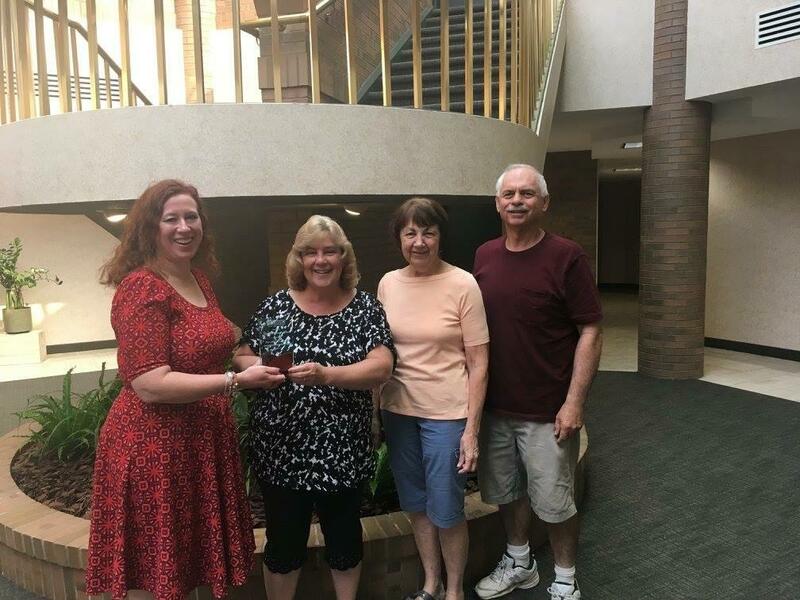 Emily Bauman of the Livonia Chamber of Commerce presented an award to the Livonia Goodfellows for their 25 years of dedicated membership. Accepting the award is President, Jodee Hall, Secretary, Jan Nadratowski, and Vice President, Jim Hobart. ​Thanks to the Youth Commission for distributing school supplies to our recipients. 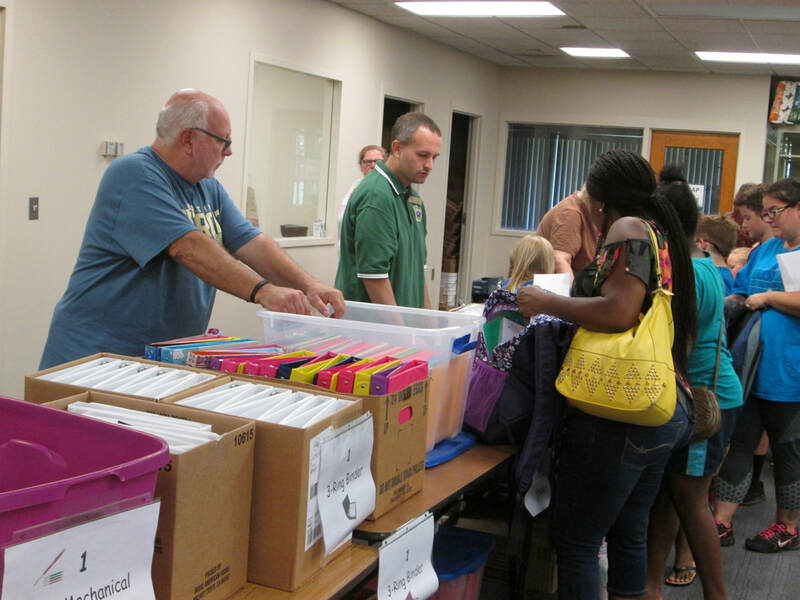 Each child received an awesome backpack filled with assorted items. Many happy faces left the building! 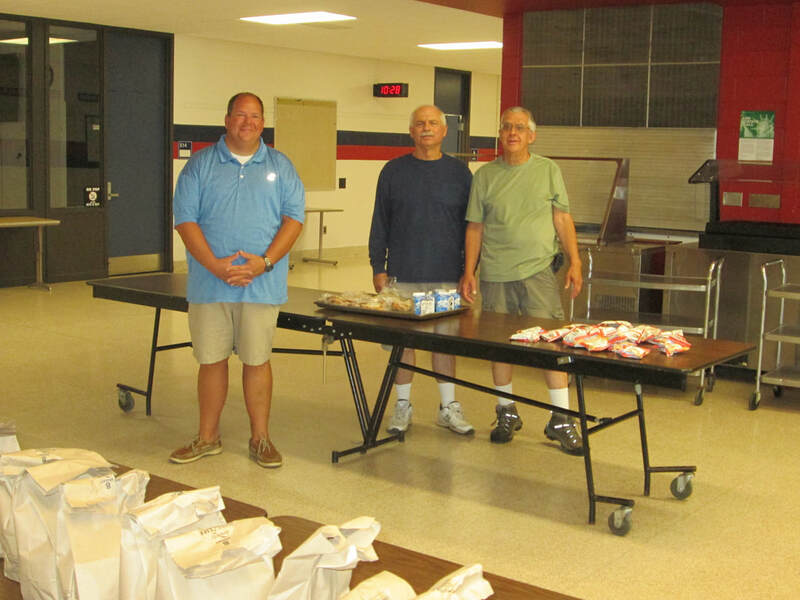 From left to right: Will Bohnert, Director, Jim Hobart, Vice President, and Fred Burger, Volunteer, are proud to serve lunches to the summer school students. 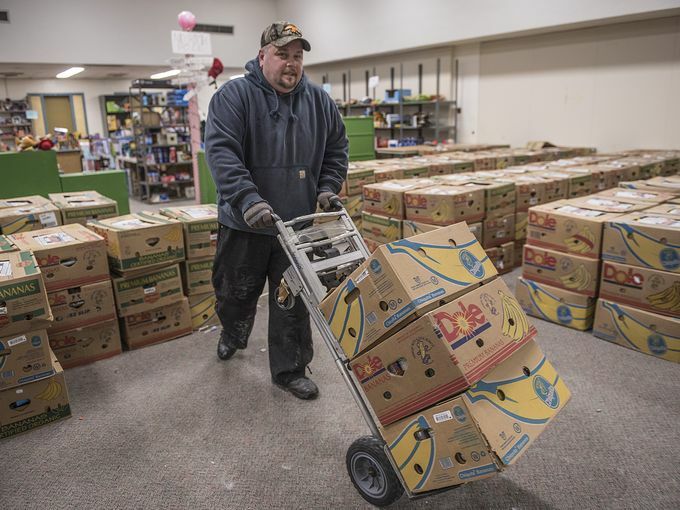 This is our third year in sharing this program with Forgotten Harvest. 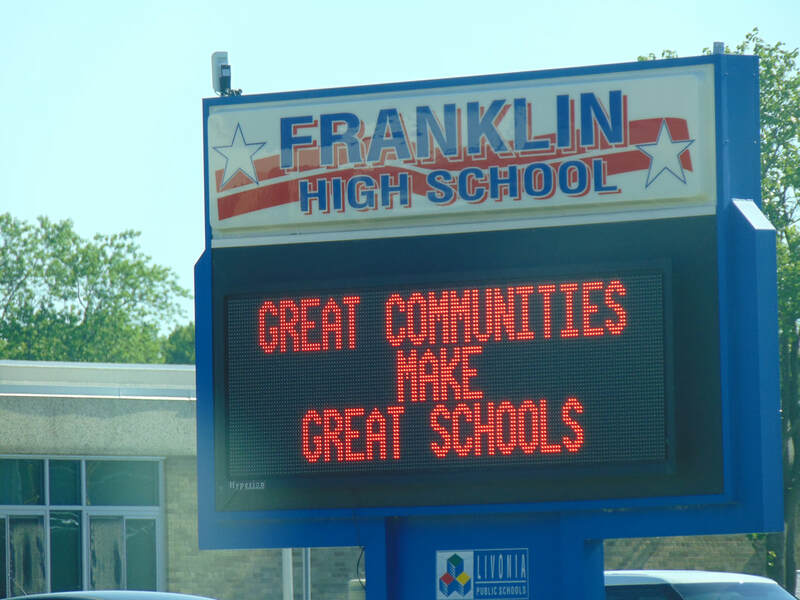 Classes were held at Franklin High School. 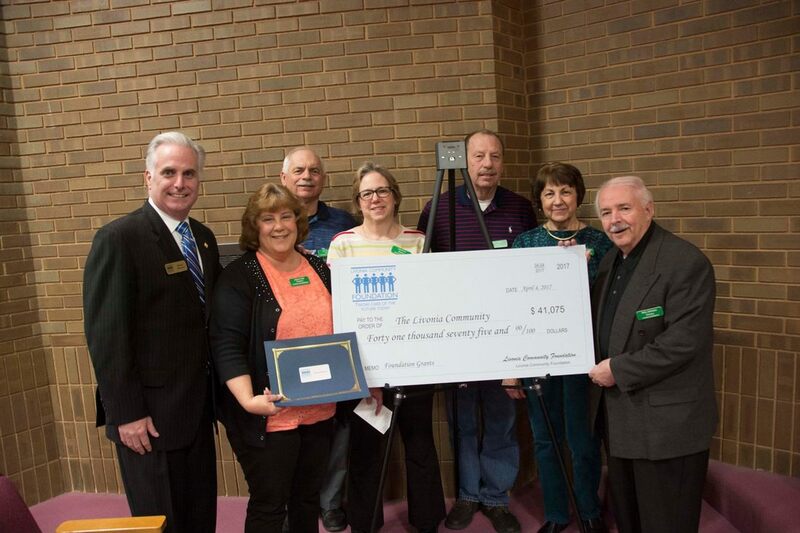 The Livonia Community Foundation Grant Committee presented an award to Livonia Goodfellows 'No Child Without a Christmas', for serving children and families in Livonia. We were one of 12 organizations who qualified for a portion of the $41,025 donated to the Foundation. Representatives from Livonia Goodfellows were (left to right), Jodee Hall, President, Jim Hobart, Vice President, Linda Fry & Ron Phillips, Directors, Jan Nadratowski, Recording Secretary, and Bob Johnson, Vice President. 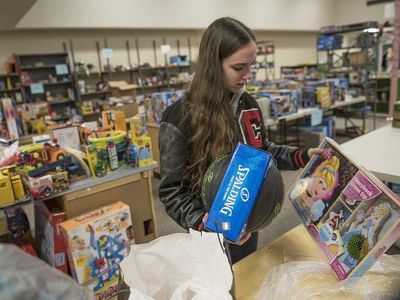 Goodfellow volunteers deliver so no child goes without a Christmas. Alex Valenti, Tom Gross, Eric Fry, James Valenti, Lindsey Warren, Linda Van Deusen and Julia Hoffman. 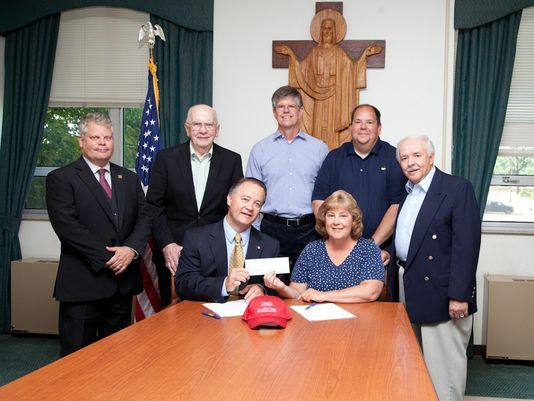 The Livonia Goodfellows – known for ensuring “No child without a Christmas” – brought Christmas to Madonna University in the form of a $180,000 check to establish an endowed scholarship fund for students transferring to Madonna from a community college in Southeastern Michigan. 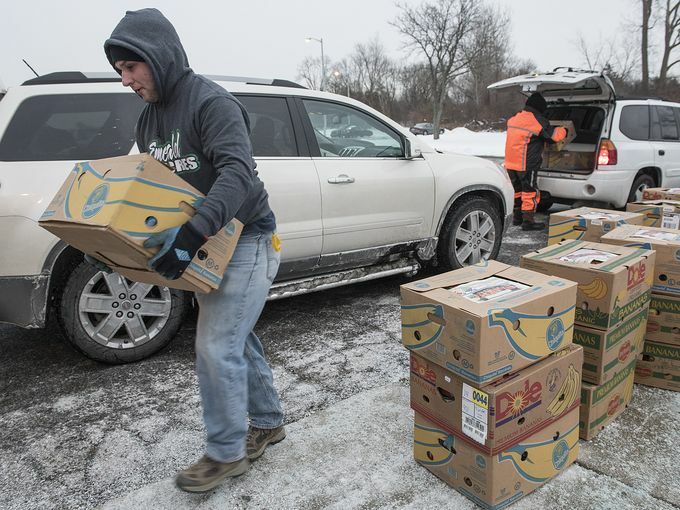 According to Livonia Goodfellows President Jodee Hall, the organization was fortunate to recently receive two separate beneficiary distributions from the Norma Gerndt and Richard Smith estates. “The Livonia Goodfellows Endowed Scholarship was created using only these estate monies,” she said. 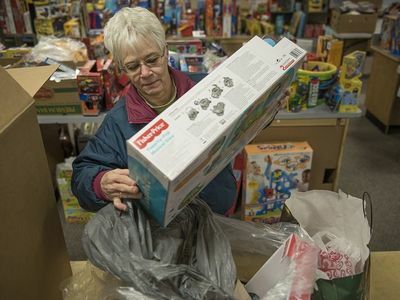 She went on to reinforce how ongoing donations from the community enable the Goodfellows to help less fortunate children in Livonia, by assuring that “No child without a Christmas” is fully funded each year. “We must continue to receive these important donations to meet our regular needs,” she said. Hall explained who the scholarships were meant to help. The Goodfellows Endowed Scholarship funds will be distributed annually to students who are transferring to Madonna as juniors with an associate degree or at least 60 credits. Recipients must have resided in Livonia for at least one year prior to transferring to Madonna. A representative from the Livonia Goodfellows will serve with two Madonna financial aid staff members to select the scholarship recipient. The scholarship is applied to Fall and Winter semesters only and can be renewed for up to four semesters, as long as the student maintains a 2.8 GPA and full-time student status (12 credit hours per semester.) Transfer students need not complete a separate scholarship application, but rather apply for admission to Madonna and complete the Free Application for Federal Student Aid. ​Inquiries can be made through Madonna’s Office of Undergraduate Admissions at 734-432-5339, or admissions@madonna.edu.